The 16th International Conference on Plasma-Facing Materials and Components for Fusion Applications (PFMC-16) was held in Düsseldorf/Neuss in Germany in May 2017 and organized by the Institut für Energie und Klimaforschung (IEK) of the Forschungszentrum Jülich GmbH. Originating in 1985, as the ‘Carbon Workshop’, 10 editions have been organized in Jülich, Stockholm and Hohenkammer up to 2003. The number of participants at and the duration of the workshop increased substantially, and in 2009 the scientific committee paid credit to the growth and changed the symposium name from ‘workshop’ to ‘International Conference on Plasma-Facing Materials and Components for Fusion Applications’. Since 2012, regularly in the last three conferences (Jülich, Aix-en-Provence, and Düsseldorf/Neuss) more than 200 scientists from Europe, Japan, China, Korea, Russia and USA participated at the conference. The main objective of this conference series is to provide a discussion forum for experts from research institutions and industry dealing with materials for plasma-facing components (PFCs), as well as development and qualification of PFCs to be used in current and future nuclear fusion devices. 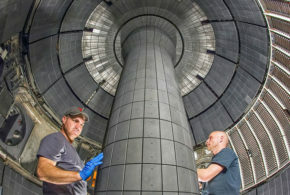 Progress in ITER construction, the start-up of Wendelstein 7-X in preparation of 30 min long discharges and discussions regarding wall materials for DEMO, as well as for CFETR, emphasize the importance of plasma–wall interactions and these components strengthen the area in the nuclear fusion community. In this context, the properties and behaviour of beryllium and tungsten under plasma impact, as well as their impact on the plasma operation, are research topics of foremost relevance and importance symbolised by the IAEA Nuclear Fusion Price 2016 for the JET-ILW fuel retention studies in those materials—the first one in the plasma–surface interaction area. 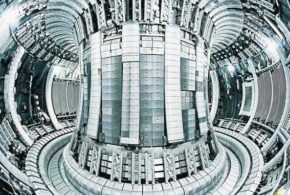 The key role of materials in the development of a fusion power plant has been clearly identified and strengthened. The director of the Institut für Energie und Klimaforschung—Plasmaphysik (IEK-4), Prof. Dr Christian Linsmeier, opened the conference, highlighting the importance of material development and qualification in view of ITER, DEMO and Wendelstein 7-X requirements for the operation in steady-state. The vital contributions of the Forschungszentrum Jülich to the ITER project as well as to the start-up of the Wendelstein 7-X in limiter configuration were stressed and the future commitment in both projects underlined. Contributions are covering experimental work, modelling activities, diagnostics development as well as material development and qualification with the set of facilities available at the Forschungszentrum Jülich, opening the view on a linear plasma device in a hot material laboratory capable to study beryllium and neutron-damaged materials. The status of the first tungsten divertor in ITER and associated open physics questions has been addressed in the opening presentation. The remaining open questions in the qualification with respect to power handling and tile shaping, impact of helium on the material morphology, as well as fuel retention in the ITER-material mix and nitrogen seeding were discussed. Special attention was paid to the impact of transients on tungsten leading edges, the appearance of melting failures of components, and the validation of codes to predict potential damage in ITER by uncontrolled transient events such as edge-localised modes or disruptions. The physics of the material migration cycle, thus, material erosion, transport and deposition, as well as the fuel retention in the ITER materials, were rigorously discussed at the PFMC-16. Modelling of experiments in ASDEX-Upgrade, DIII-D, EAST and JET equipped with the ITER-like wall were shown. Moreover, complementary laboratory studies on the uptake and release of fuel from Be-W co-deposits presented, and modelling of fuel retention and outgassing was introduced. Special emphasis was put on a complete session about the interaction of tungsten with hydrogen, helium and seeding species. The experimental and modelling results also included comprehensive studies with self-damaged and neutron-damaged tungsten in order to assess the retention and release mechanisms in tungsten, as well as surface morphology modifications. 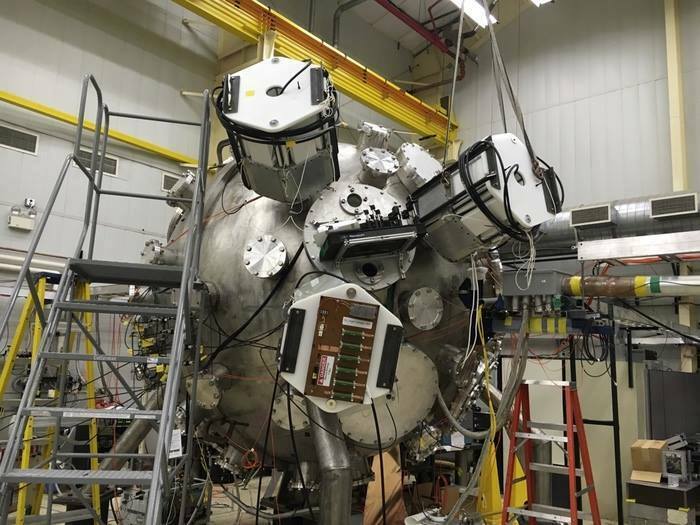 Significant progress was made in this important area related to both the fuel cycle in DEMO and beyond as well as power handling and thermal conductivity issues. In view of DEMO, CFETR and reactor concepts, new W or steel-based material concepts for the main chamber were introduced. Components with functional-graded materials, with permeation barriers, or self-passivating alloys were introduced, and qualification tests with and without plasma exposure in linear plasma devices such as MAGNUM-PSI (DIFFER, Netherlands) and PSI-2 (FZJ, Germany) presented. 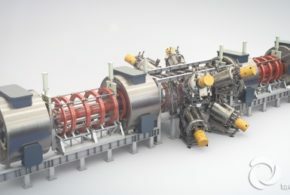 Similarly, new concepts for tungsten-based divertor plasma-facing materials with power load limits of 20 MW/m2 were presented and the outcome from material qualifications without plasma and high heat flux tests in electron and neutral beam facilities introduced to the audience of the PFMC-16. Also, solutions for high heat flux components based on liquid metals were presented and the effect of vapour shielding as ultimate protection against transient heat loads discussed. 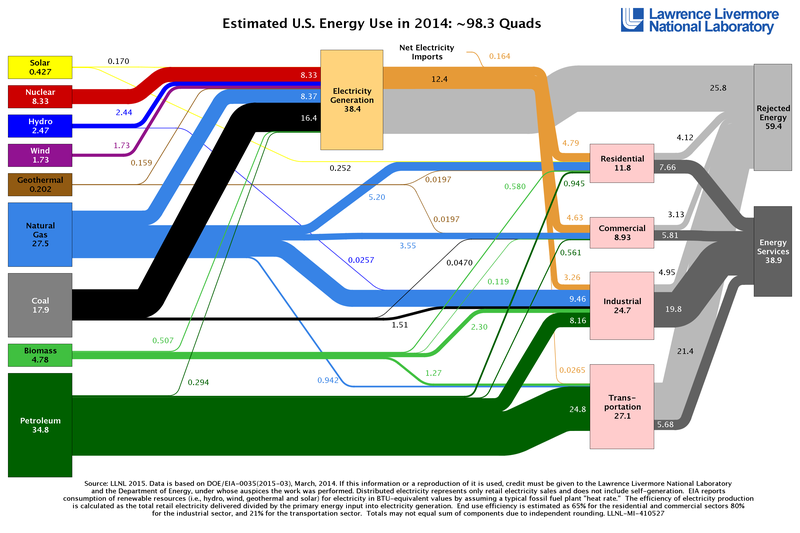 Further studies are required at this branch of alternative solutions, which include both the PFC solution as well as an integrated plasma solution, including the question of fuel retention and dust production. Another highlight of the conference was the presentation of results from the world largest stellarator Wendelstein 7-X (MPI, Germany) operating in a limiter configuration with graphite components as well as the introduction of the planning of the first divertor campaign, which started and is due upon the completion of this topical issue. 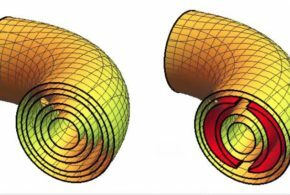 This is a major step forwards to the envisaged long-pulse operation in this alternative toroidal confinement concept without plasma currents. 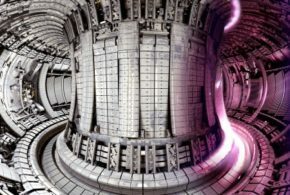 Another update was given about the major European long-pulse tokamak device WEST (CEA, France), which is expected to be in operation in late 2017 with a complete set of PFCs made of W-coated CFC or ITER-like plasma-facing units made of bulk W mono blocks. The later will be qualified with respect to complex shaping, damage under transient heat loads, as well as performance at high fluence. Moreover, the progress in the development of plasma-facing components solutions for JT-60SA (QST, Japan) and the flat-tile solution in EAST (ASIPP, China) were presented and discussed in detailed. 18 invited talks, 20 contributed orals and 180 posters (two sessions) were presented. The majority of contributions were thereby in the areas of (a) tungsten and tungsten alloys and (b) erosion, re-deposition, dust and fuel retention with more than 2/3 of all contributions. 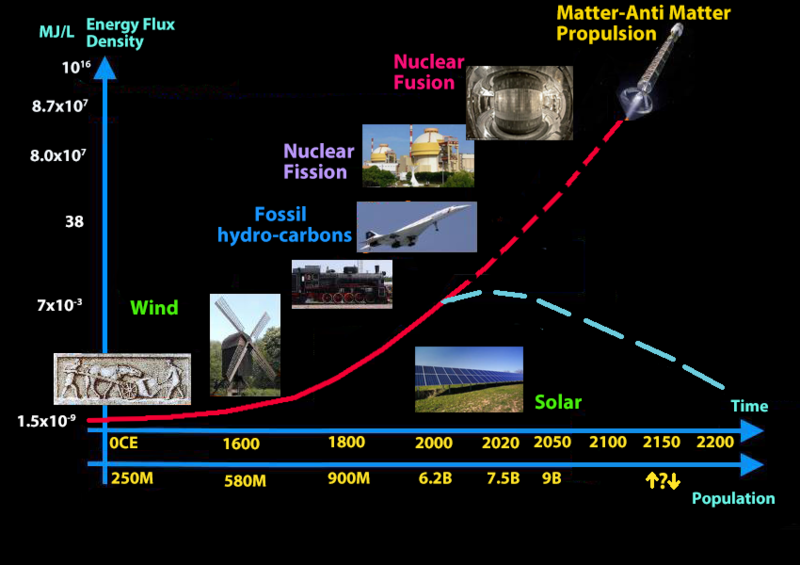 Contributions in the area of neutron effects are limited and will certainly need more attention in future. A total of 250 people (including 80 students) representing a total of 28 countries from all over the world (Canada, China, India, Japan, Korea, the Netherlands, Mexico, Russia, Ukraine, USA and more than 100 Europeans embedded in EUROfusion) joined the conference. Tutorials and the conference itself took place in the Zeughaus Neuss and were hosted by the Institut für Energie und Klimaforschung from the Forschungszentrum Jülich. The conference place was most suited for the size of the PFMC-16 and easy accessible from Neuss and Düsseldorf. The social program allowed either a visit of the beautiful buildings and historic garden of ‘Schloss Dyck’, the old historic town centre of Düsseldorf, or the industrial monument park in Duisburg. The social program included the reception in the ‘Ueriges’ and the conference dinner at the Rheinterrassen and were both well appreciated by the participants of the conference indicating that the local organising committee made a good selection. The conference was financially supported by the Forschungszentrum Jülich for which we are thankful. Moreover, the following sponsors, Avantes, Springer Nature, IOP Publishing, LOT Quantum Design and EUROfusion, contributed in various ways to the success of the conference. Physica Scripta awarded a prize for the best poster presented by a young researcher in each of the two poster sessions. Mr Akihiro Togari and co-workers, from the Graduate School of Science & Technology, Shizuoka University, Japan, and Dr Lauren Garrison and co-workers, from the Oak Ridge National Laboratory, USA, have received these prizes for their posters entitled ‘Removal of retained tritium in C-W mixed material layer on tungsten by deuterium gas exposure’ and ‘Effect of Machining and Polishing on the Near-Surface Region of Tungsten for Use as Plasma-Facing Components’, respectively. Copies of the posters are attached to this introduction. We are very thankful to the members of the Institut für Energie und Klimaforschung and the Corporate Communications group in the Forschungszentrum Jülich who helped to organise and execute the conference so smoothly as it happened in May 2017. Our special thanks and gratitude are given to Dr Jan Willem Coenen, the Chair of the Local Organising Committee (LOC), and Mrs Beate Schmitz, who actually ensured the conference ran well, technically and logistically, and arranged the excellent social program. Additionally, we thank the whole LOC: Dr Sven Wiesen, Dr Timo Dittmar, Mrs Angelika Hallmanns, Katja Hoffmann and Marlene Hoffmann for all the superb work and great engagement in the overall preparation of work in the year prior to the conference. Dear colleagues, your efforts have been very highly praised by all participants of the PFMC-16 conference. The proceedings of the PFMC-16 finally contain a total of 75 high-class peer-reviewed publications selected by the scientific programme committee out of the invited contributions, oral contributions, and a number of poster contributions. These papers reflect the development and actual status of the major topics of the PFMC for fusion application. We thank all participants for their contributions and we particularly thank the referees for their diligent and systematic reviews of all submitted articles. In order to manage the provision of the proceedings within six months after the conference, we used the electronic submission and review system of Physica Scripta with dedicated guest editors for the first time during the PFMC series. The interplay between authors, referees, guest editors and the editor worked very well indeed as it can be seen in this Topical Issue 170. Special thanks go to the Chief Editor of Physica Scripta, Suzy Lidström, for the valuable comments regarding the individual contributions and especially to Emma Chorlton for her continuous and friendly support to get things done in an efficient professional way. Finally, on behalf of Dr Thomas Morgan, the chairman of the PFMC-17, we take the liberty to invite you to the next conference in Eindhoven in 2017 organised by DIFFER in the Netherlands.